I am not a mommy (yet), therefore I have not joined the “Parenthood Club,” but over the past year, I have had the wonderful opportunity of opening my home to children who are in need of a safe, warm, and loving environment to lay their heads down at night. Today marks the one year anniversary of Daniel and I welcoming our first “Safe Families” child into our home. Safe Families is a Christian based program here in Illinois (and other states) where parents can voluntarily place their children with “host parents” due to a crisis occurring in their lives. This crisis could be an illness, unemployment, domestic violence, homelessness, or just feeling overwhelmed. Many of us have friends and family we can turn to, but often times, these parents have no one to rely on for support. It is amazing because the parents maintain full custody but it gives them an opportunity to not worry about their children being taken care while they “get back on their feet”. We are not compensated financially, but our reward is far greater than any reimbursement check we could ever receive. We are compensated with the joy and satisfaction of being able to share the love of Christ to not only the children, but also their parents who may be unfamiliar with the unfailing love of our Savior. With nearly every parent we have come in contact with they are just in awe that someone would be willing to sacrifice so much for them and their children (which to us, it isn’t much of a sacrifice at all when I think about the benefits we are both receiving). Last year on November 2nd, we had the privilege of caring for a sweet, two-year old little boy for three months while His mother found work and an apartment. He definitely brought life to our home and helped break up the monotonous life we were living in our own little bubble. For me, it was nice to finally have someone to communicate with during the day rather than me always talking to our two cats. The next week he was up all night and nothing could soothe him…that’s when I discovered he had a horrible double ear infection despite tubes being put in his ears a couple of weeks prior. During the entire three months we had him, we made weekly trips to the doctor’s office because nothing was working to get rid of the ear infection. Finally the week before he returned to his mother, the doctor reinserted his tubes. Hallelujah! He returned to his mother at the end of January and many would marvel at our ability to “just give him back”. But the entire time we cared for him we knew our roles. He was not ours and our roles were to simply love him, care for him, and provide for him. I spent many moments with the Lord in prayer each day for grace to care and love him like a mother, but to not get too emotionally attached like a mother would. Was I sad when he left? Of course! Were their moments following the return to his mother did I look at the clock and think…”this was normally his nap time.” Yep! Whenever I passed by his old bedroom I would think about how he used to spend HOURS looking at all of his toy cars. But I was never too emotionally attached that it felt like a piece of me left when he did. In April, we had the joy of caring for two brothers ages 6 and 7 for a week and boy were they entertainment! My favorite time spent with them was right before bed whenever we did story and prayer time. There prayer requests were so childlike and innocent. I loved listening to what was on their heart and just living through them…they truly showed me what it was like to come to Jesus like a child. Their innocence and openness touched me every night. In June, we began watching siblings, 4-year-old and 8-year-old two nights a week in order to help a single mother be able to care for her sick mother who just had surgery. It also gave the children an opportunity to be mentored (kinda like big brothers/big sisters). What a blessing the mother and children have been to us! They are also full of life and so much joy to be around. Their mother is the sweetest thing too! Our last placement was two weeks ago when we had the opportunity to help out another host parent who was caring for a nine month old while she was unable to care for him for a week. It was quite the experience going from zero children to a nine month old as it was fun, entertaining, exhausting, and frustrating all in the same minute at times. Caring for this child was a true taste of parenthood. No longer was I able to tackle my chores during the day or eat dinner when I wanted. Instead it was finishing the task of folding laundry at 8pm that I had started off and on since 1pm, eating on the go, picking crusted boogers off my sleeve, guessing the stains on my pants (were they from lunch or supper?) and checking to make sure he was still breathing every two hours while he slept. I. Was. Exhausted. But I enjoyed every minute of him being in our home. Wow. What an awesome opportunity. I’ve never heard of such a program. What a blessing you are to these families. It truly has been a blessing to us. 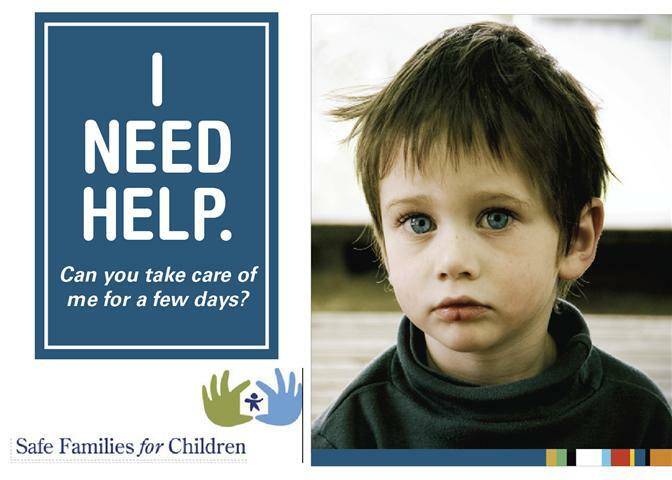 There is never child abuse or neglect involved but if we didn’t step in to help then it could possibly happen. So it’s really nice to be able to help so that it doesn’t ever get to that point. What a selfless thing for you and hubs to do! Really such an amazing way to give back! I have never heard of this organization before! I think my heart skipped a beat! 🙂 So happy to have found your sweet blog and so look forward to following your journey!! It really is a wonderful program! It sure does bring life to a home of only 2 cats 🙂 Our cats are still not used to having little ones running around tho. They usually hide and then come out at nap time. lol! What an amazing program! Would that this were not only a nationwide endeavor but also not limited specifically to a particular strand of religion. Thank you! The program started and is still based out of Chicago. If you look up Safe Families for Children, a list of other towns, states, organizations should pop up. Thank you for stopping by and reading 🙂 If you look up Safe Families for Children a list of towns, organiations, and states should pop up. It was started and is based out of Chicago. Even if it is not started in your town, you can contact them and see how you could get it started or be a part of it 🙂 It is very rewarding. You don’t get money or compensation so it truly is out of the love of your heart. That’s why I love it so much! I actually think it’s much better that there’s no “financial incentive”, so to speak. Years ago I actually met someone who was trying to foster special needs children just because of the money – a truly horrific concept in my opinion. I think it’s important to do good deeds for the right reasons – and money is really never a good reason unless you’re in a precarious situation. That’s such a great idea, like expanding everyone’s family for a greater support network. But oh, that poor baby and his ear infections! When Abby first started staying with us, we had to the same weekly doctor visits for ear infections for months until she got tubes.